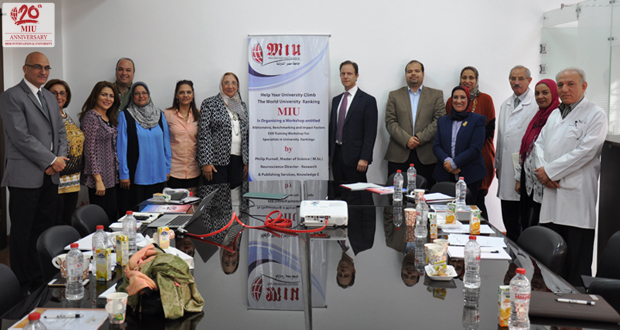 Misr International University conducted a workshop under the supervision of Community Service Sector in collaboration with the Egyptian Knowledge Bank on Tuesday 14th November 2017. 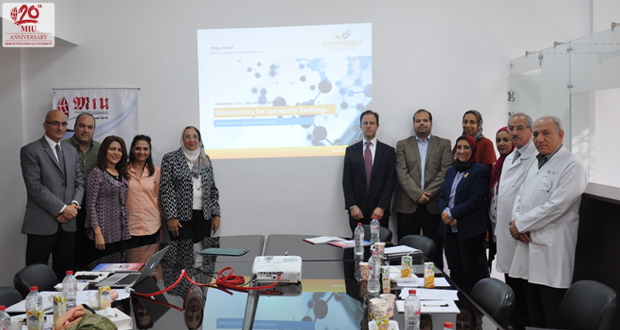 The workshop was conducted by Dr. Philip Purnell, Director – Research and Publishing Services, Knowledge E. All deans, vice deans and staff members representing all faculties participated in the workshop. As the world of Bibliometrics is a relatively new field, the aim of the workshop was to practice Bibliometric analytical techniques with real data.. The workshop outlines bibliometric case studies, commonly used bibliometric methods and indicators, controversy and limitations of bibliometrics, University rankings methodologies, data sources and coverage. 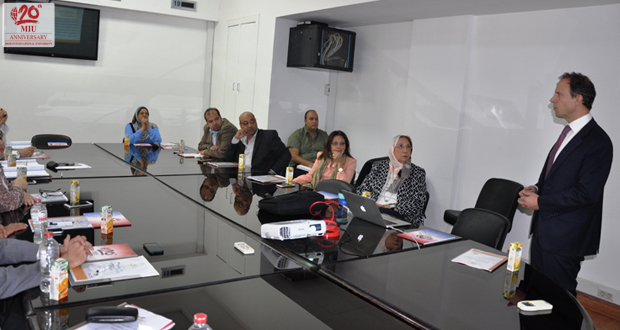 Eight attendees evaluated the workshop as excellent and 7 attendees evaluated it as very good.